Meet the finalists of the Dublin International Piano Competition and find out where to live stream the final. Having spent two weeks appraising first-class performances by 61 of the world's top young pianists, the jury of the Dublin International Piano Competition have announced the finalists of the 2018 Competition. It is interesting to note that Ireland's Eoín Fleming was among the 12 semi-finalists, one of a handful of Irish pianists to make the semi-finals of the Competition in its 30-year history. The four finalists who will be performing in the National Concert Hall with the RTÉ NSO tomorrow night are Evren Ozel, Aristo Sham, Alexey Sychev and Sae Yoon Chon. 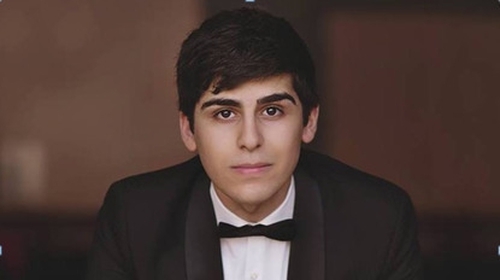 American pianist Evren Ozel began his musical education at the age of three, taking lessons at MacPhail Center for Music. The 19-year-old's achievements include scholarships from the US Chopin Foundation and the YoungArts Foundation; First Prize at the 2016 Boston Symphony Concerto Competition and Second Prize at the 2016 Thomas and Evon Cooper International Competition. In 2017, after graduating from Walnut Hill School for the Arts in Massachusetts, he matriculated to New England Conservatory, where he currently studies piano with Wha Kyung Byun. Hailed by the Washington Post as a young artist with "boundless potential" who can "already hold his own with the best", Aristo Sham has performed in five continents. The 22-year-old has also performed for dignitaries such as Prince Charles, the Queen of Belgium, and ex-President Hu of China. Born in Hong Kong, Aristo’s principal teachers include Professors Eleanor Wong, Colin Stone, and Victor Rosenbaum. He is currently pursuing a BA in Economics and French, and MMus in Piano Performance as a joint programme at Harvard University and New England Conservatory. In addition, he travels to Sweden to study at the Ingesund School of Music with Julia Mustonen-Dahlkvist. Alexy is a laureate of 24 international piano competitions across four continents. In 2015, he received the First Prize, Audience Prize and a special prize for the Best Liszt Sonata Performance at the 8th International Franz Liszt Piano Competition Weimar-Bayreuth. The 29-year-old has given solo recitals in Austria, Germany, France, Italy, Netherlands, Portugal, Slovakia, Serbia, Switzerland, Israel, Morocco, Moldova, Russia, Brazil, Chile, Japan and the USA. He has performed with orchestras throughout Europe and America and has participated in various international festivals. Saeyoon made his début with the Cleveland Orchestra under the baton of Maestro Jahja Ling at the age of 18. Since then, he has performed with orchestras including the Orchestra de Valencia, the Bucheon Philharmonic Orchestra, the Mississauga Symphony Orchestra, the Royal Conservatory Orchestra and the Hanoi Philharmonic. A prolific international prize-winner, the 22-year-old's awards include Third Prize at the 2018 LA International Piano Competition, Second Prize and a special prize at 2017 Jose Itrubi International Piano Competition - to name but a few. Saeyoon is currently studying with John O’Connor and James Anagnoson at The Glenn Gould School, Toronto, where he is also the recipient of the full-tuition Liliane Szenteleky - de Kresz Scholarship. The finals are being live-streamed worldwide from the National Concert Hall by RTÉ and Arte on their digital culture channels. Irish viewers can tune in from 7pm tomorrow night (Tuesday, 29th May) on RTÉ Culture - www.rte.ie/culture while viewers in North America can watch the finals live on Arte Concert. In addition, the 2018 finals will be broadcast on Friday, June 1st at 7.30pm on RTE lyric fm, as part of the Lyric Concert series. The semi-finals and the four finalists’ performances will be available to watch on-demand on both RTÉ Culture & Arte Concert. To win the coveted prize of €15,000 plus a series of prestigious concerts in venues like Carnegie Hall in New York and the Wigmore Hall in London. They must each play a full piano concerto, accompanied by the RTÉ National Symphony Orchestra.